I’ve learned a lot about being a better lifter by refereeing powerlifting meets. From the Ref’s Chair is my attempt to pass on what I see so that you can improve your lifts. 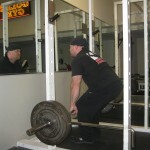 This post is from the 2011 Fife Power Company Powerlifting Holiday Classic. I witnessed some great lifting, highlighted by a 722lb raw pull. Hopefully some of these tips will help you lift even bigger next year! Grip: I’ll dig into your grip on the bar in more detail in another article; however I wanted to touch on some of the mistakes I saw. If you can’t hold onto the bar, you can’t pull the weight. You should be taking every measure you can to improve your grip. 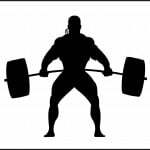 Thumbless grip: There is no reason to use a thumbless grip on the deadlift. If you can hold the bar thumbless, quite frankly you don’t have enough weight on the bar. Chalk: I saw a lifter fastening his belt after he’d chalked his hands. By the time he approached the bar to pull, the chalk was on his singlet and his belt, but not on his hands. As cool as you look covered in blood, sweat and chalk, chalk on your attire does not help you hold onto the bar. Chalking your hands should be the last thing you do before stepping onto the platform. Hand Placement – too wide: This one I see all the time – using an exceptionally wide grip on the bar. A wide grip creates two disadvantages for you. First, a wider grip shortens your arm span, meaning you start the pull closer to the floor. This increases the range of motion you must pull through, and puts you at a disadvantaged position to start the pull from. Secondly, you now have forces straining your grip in two directions – one straight down towards the floor, the second inward pulling your hands toward the neutral position. Whether you’re pulling sumo or conventional, your hands should hang straight down from your shoulders. This will lengthen your arm span to the bar to its maximum, and eliminate the horizontal force from straining your grip. Hand Placement – too narrow: Not gripping the knurling. Unless you have an exceptionally small frame with narrow shoulders, you should try to grip the bar on the knurling. Stance: Choose either a sumo stance or a conventional stance. I saw too many people taking a stance somewhere in between. There is no advantage to this. With an ‘in between’ stance you drag your hands across your legs through nearly the full range of motion, peeling your grip loose. Conventional: Your feet should be close together and toes pointed forward. Unless you have an exceptionally wide frame, your legs should be inside the knurling. With your feet in this position, your arms can hang straight down from the shoulders, grip the knurling, and not drag across your body as you complete your pull. Your legs and clothing won’t catch on the knurling which would increase the friction, and thereby increase the difficulty of the pull. Sumo: Although dependent on your build, a sumo stance is very wide, well outside shoulder width, with your toes pointed out. For my sumo setup, I place my feet so the 81cm rings in the knurling are at my shins. Your grip will be inside your legs, hang straight down from your shoulders, and optimally gripping the knurling. Your hand placement should be approximately the same for the sumo pull as for the conventional deadlift. Pausing at the Bottom: Once you grip the bar, and drop your hips to the starting position, pull immediately. Sitting at the bottom works against you in two ways. First, as mentioned, you start thinking about the lift. Your mind will try to tell you how heavy the weight is. Secondly, as you drop your hips into the starting position, you should try to tighten your glutes and hamstrings and use them to explode off the floor. If you’re pausing at the bottom you lose that tightness and any advantage you can get out of it (ever notice how the second rep of deadlifts is much easier than the first when deadlifting for reps…?). Exhaling at the Bottom: Don’t exhale, grunt or scream as you start the pull. Losing the air from your chest will reduce your upper body stability. Try to hold the air in your chest until the bar passes your knees and then begin exhaling as you lock out. If you would like a complete walkthrough of the conventional deadlift you can read my article on deadlifting technique. Deadlift rack pulls, also called deadlift lockouts, can help you build significant lower back strength, and drive power into your squats and deadlifts. Deadlift rack pulls help you train the finishing movement for your deadlift. They allow you to pull a significantly higher weight to lockout than you would use for your full range of motion deadlifts. Rack pulls can build significant lower back strength. 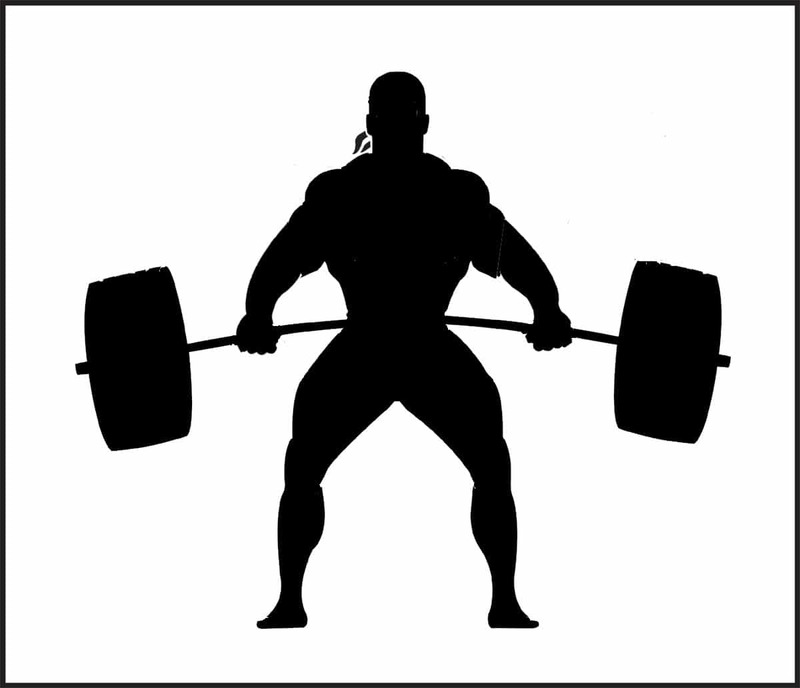 By lifting heavier weight, they train your body and central nervous system to recruit more muscle fibers for the lift. To a lesser degree, rack pulls also work your gluteus maximus (glutes) and hamstrings. For the general strength trainers, lockouts are also a useful lower back compound exercise. By starting the lift just below the knees, rack pulls eliminate much of the leg drive from a full range of motion deadlift. This allows this exercise to focus the work directly on your lower back.